Social activists in Pakistan can learn much from the tenacity and brilliance of Trans Action KP. PHOTO: FACEBOOK. The widely circulated video of Julie being flogged and tortured in Sialkot is the latest reminder of the perils of being someone who does not conform to the arbitrary norms of our society. Long marginalised and consigned to the niches of begging and dancing we have relegated them to, transgender individuals have now become the frequent target of physical brutality in Pakistan. It was not till the transgender community and their allies in social activism raised a public outcry at the murder of Alesha last May that the authorities started making any real effort to challenge this menace. It took the horrifying cruelty of hospital staff and passers-by towards Alesha as she slowly and painfully bled to death for any sort of public awakening towards transgender persecution. Enough though, is being written about the plight of the transgender community. This article is about celebrating their fight to end the discrimination and marginalisation they have endured since time immemorial as well as to advocate it as a model for social activism in Pakistan. 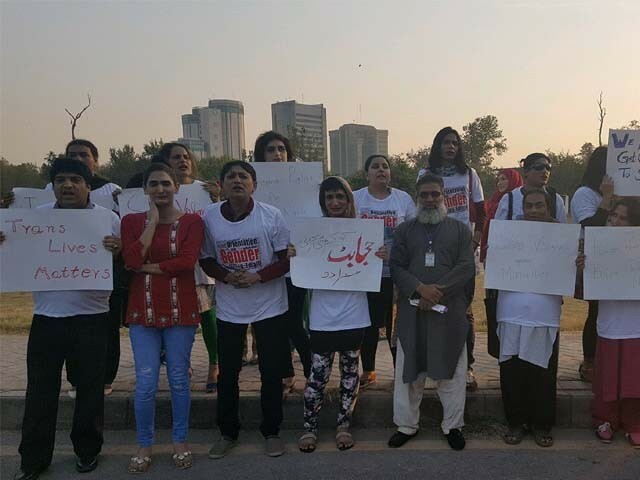 Nowhere have transgender individuals faced more persecution than in Khyber Pakhtunkhwa (KP) where 45 individuals identifying as transgender have been killed in the last two years. It is only fitting that it is in KP that the most passionate and effective pro-transgender activism has emerged. Trans Action KP was started in 2015 by registering 300 transgender individuals from 15 districts of KP and the tribal belt. Initial organising and logistical support was provided by Blue Veins, a low profile but incredibly passionate and potent social advocacy organisation. Trans Action KP now has members from over 30 districts of KP and the tribal belt and has established a prominent social media presence. The organisation’s Facebook page sees heavy traffic on a daily basis and is supported by a growing number of bloggers and activists. What Trans Action KP is doing is unprecedented and avant-garde – they are following the golden rules for a civil rights struggle. They have organised at the district level, thus ensuring a grassroots presence that can engage in dialogue at the local level. They have introduced into public awareness the language and imagery necessary to describe and advocate for a transgender identity. To combat persecution and end marginalisation the vital prerequisite is establishing transgender individuals as a community with its own unique identity. Doing so is not formalising a label of abnormality as some might fear; it is in fact a necessary assertion of one’s identity and existence, a claim for acknowledgment and acceptance. They have made full use of the media, both local and international. They connect frequently with the local media and have been interviewed on numerous occasions by foreign media including the BBC, Washington Post, Los Angeles Times and RT. They have kept a singular focus on highlighting persecution and advocating for legislation and social efforts to end persecution. Unlike many well-meaning social activists they have neither gotten bogged down in endless theological debates nor engaged in Pakistan-bashing. The overkill of intellectual self-flagellation and tying “religious reform” to every social issue is a manifestly self-defeating approach. The moment a sarcastic generalisation is made about a country or faith, the majority of one’s audience is lost. Trans Action KP has achieved recognition and a solid core of members and allies by steering clear of these distractions and not deviating from their core message. 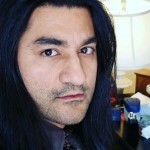 There is a long way to go for transgender activism and they will need the support of the entire community to end their suffering and become equal members of Pakistani society. We have each, either through active participation, apathy, or ignorance, contributed to this horror. We have each a role to play in ending it. Social activists in Pakistan can learn much from the tenacity and brilliance of Trans Action KP. May the transgender community become an inspiration to us all, an example of the righteous anger and courage we need to create a more just and moral society.